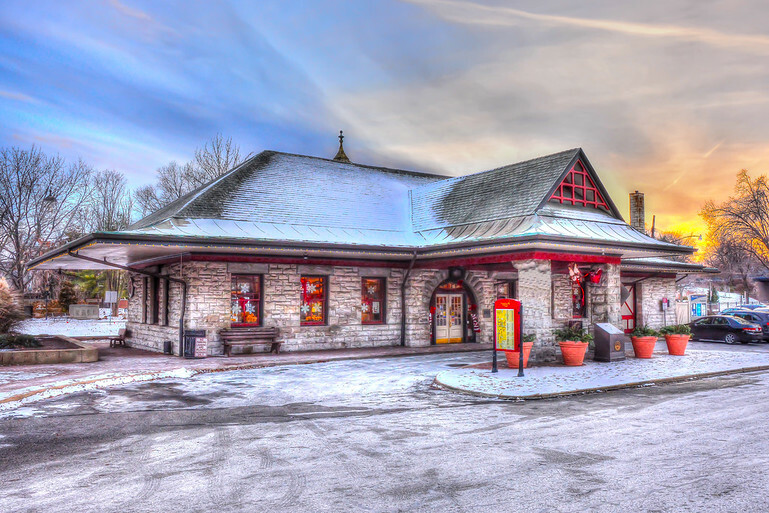 The holidays mean travel to meet friends and family and nothing signifies travel better that Kirkwood Missouri’s train station. I drove to Kirkwood late in the afternoon to photograph the station at sunset. This photo was taken well after sunset and the resulting photo was dark with a few highlights showing. However, I used the RAW mode which captures all light available, including features you normally cannot see. Post processing a single photo in Photomatix and finishing in Lightroom brought out the wonderful colors and sunlight.